Teaching Science in Elementary and Middle School integrates principles of learning and motivation with practical teaching ideas for implementing them. Paralleling what scientists do, project-based learning (PBL) represents the essence of inquiry and the nature of science, and engages children and teachers in investigating meaningful, real-world questions about the world around them. 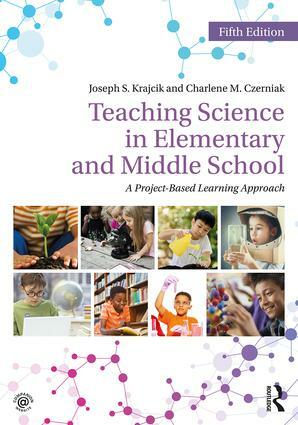 This text provides concrete strategies on teaching using a project-based approach and on meeting the principles in A Framework for K–12 Science Education and the Next Generation Science Standards (NGSS). Features include strategies for planning long-term, interdisciplinary, student-centered units; scenarios to help readers situate new experiences; and a wealth of supplementary material on the Companion Website. Joseph S. Krajcik is the Lappan-Phillips Professor of Science Education and Director of the Institute for Collaborative Research in Education, Assessment and Teaching Environments for Science, Technology, Engineering and Mathematics (CREATE for STEM) at Michigan State University, USA. Charlene M. Czerniak is Distinguished University Professor of Science Education at the University of Toledo, USA.